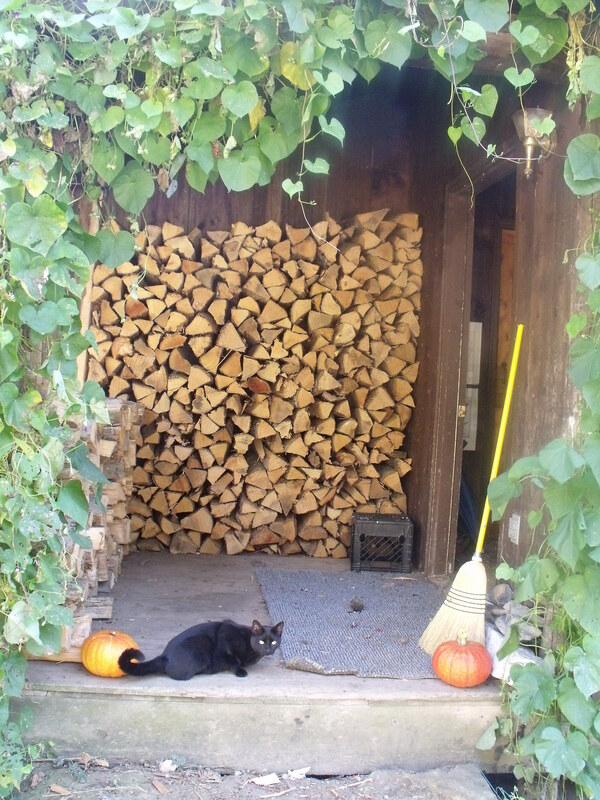 After stacking wood on the porch and cleaning up, I noticed this tableau. This would make a great calendar page…quintessential October! Unposed–honest! I love my three black cats. We don’t think of them as sinister, at all. The sad thing is, though this was taken mid-October, that was looong ago now that we are in an early winter.